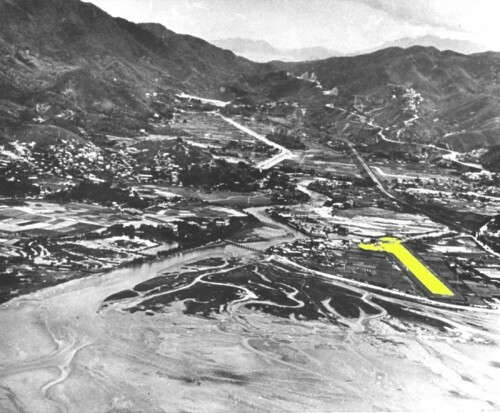 Tymon Mellor: Following the Second World War, in 1949 the Royal Air Force established a permanent airfield at Shatin,with a 350m long concrete runway, coordinates 05/23 and a small control tower, along with building and hangars made of corrugated steel. With the growing tension in China, during the 1950’s the British Army Air Corps operated Auster AOP.9 spotter planes from the site, undertaking air observation along the Chinese border. One air accident is recorded, on the 9th July, 1957 an Auster AOP.9 hit the mast of a junk on approach to the airfield. 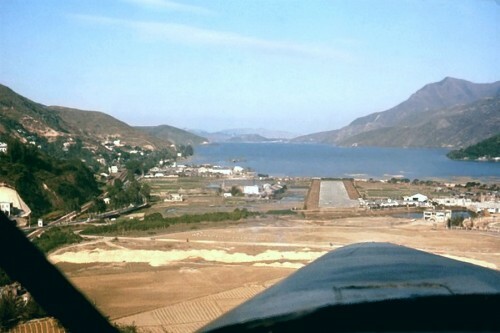 The impact damaged the aileron, forcing the plane to ditch into the Tolo Harbour. The pilot and crew both were both rescued from the waters. 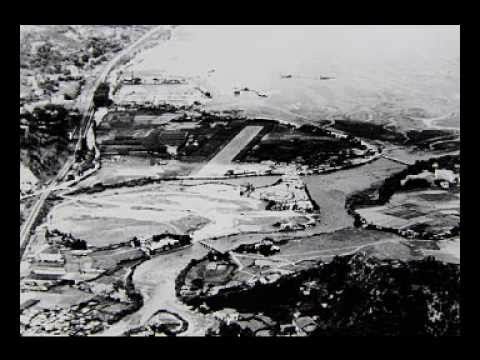 On the 1st September, 1962 on a Saturday evening, Typhoon Wanda made a direct hit on Hong Kong, bringing heavy rain and a high tide. The later inundating the airfield, flooded the facilities and destroying three aeroplanes. Soon after the facility was abandoned and eventually became a bicycle park before being incorporated into the Sha Tan new town. 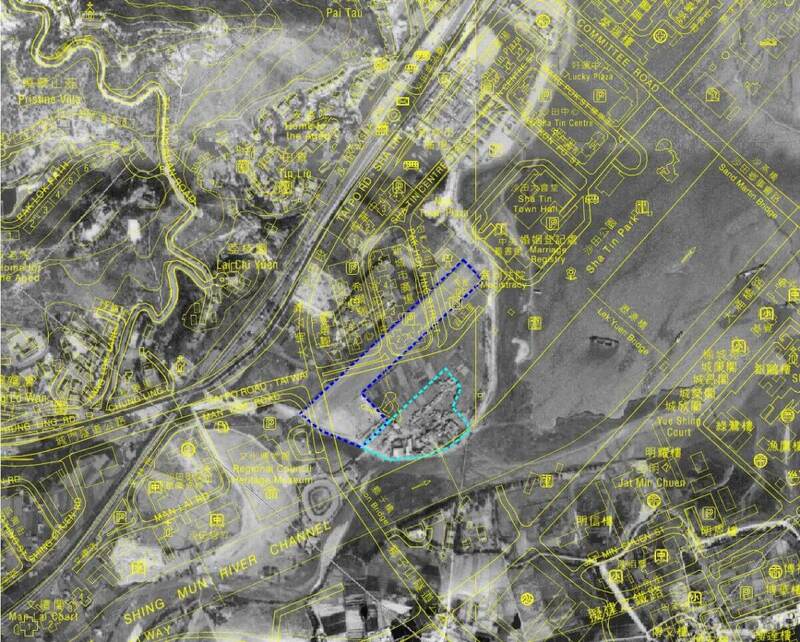 The position of the airfield is located below Sha Tin Park, New Town Plaza Phase 3 and the Royal Park Hotel. There is an urban legend that a Boeing 707 missed its landing at Kai Tak, overflew Lion Rock and landed at the Sha Tin airfield instead. Given the limited length of the runway, this would be a major event if it occurred.